Check Out What's Happening this Halloween Season at Face the Fear in Longwood! The International Clown University will take you on a trip through the world of clowns! FloridaHauntedHouses.com recently sat down with Jeff Dixon of Face the Fear, to discuss what's new at Face the Fear for the 2017 Halloween Season! Located in Longwood, Face the Fear is looking forward to stirring up some serious scares for this year! What's new at Face the Fear for 2017? Do you have any new rides, attractions, or special features that Haunt Seekers should know about? The Face the Fear house is loaded with what we think is the perfect blend of scares, screams, creepiness and a bit of laughter to create a great and memorable experience for each guest. Two things actually - we are in a new venue, which gives us two floors of "scare space" - that we have packed full of incredibly frightening experiences. The second thing is that for 2017 we feature the return of our famous "maze" which is well known to be intense, scary, and loaded with thrills and surprises. Both of those are two new features that we are bringing to 2017 that we believe will add to the fun! What differentiates Face the Fear from other local haunts in Florida? Each haunt in Central Florida is unique and is a great area for scare fans to visit. There are plenty of choices and guests will have a good time. 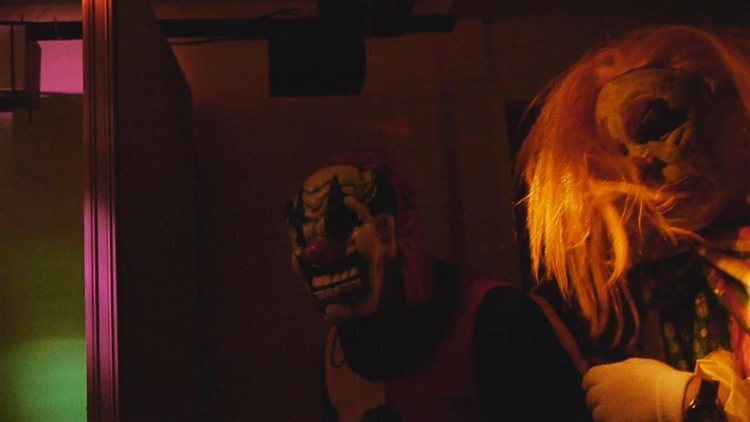 Face the Fear offers a great storyline for visitors to lose themselves in, it is not the usual "cattle-line" experience, instead you move through the house in small groups so it is possible to feel very isolated... and this year that could mean, just your small group and The Clowns! The proceeds also go to help make Christmas possible for the "forgotten" kids at Christmas - teenagers. The 434 Christmas Store provides Christmas for 100 teenagers and creates a family experience during the holidays. So it helps make Face the Fear even more fun. Oh, and each guest gets a DVD to take home with them, loaded with goodies and surprises. How long has Face the Fear been in business? Can you tell us a bit more about Face the Fear's history? Face the Fear has been around for some time now, but it really started as just an idea that was born when a child used to "haunt" his family garage for the neighborhood kids to visit. The idea just grew. But through our history, we have tried very hard to have good solid stories that scare guests more than the easy use of blood, gore, and guts. We have always tried to let the story drive the event and then help tap into what makes people afraid. What's your favorite experience since opening Face the Fear? There are too many to name. The screams and laughs tend to be what you remember at the end of each evening. We also have had the chance to work with some great scare-actors, and our cast really does step up and make this an event to remember. How long is a typical haunt experience at Face the Fear from start to finish? 20 minutes - give or take a few minutes. We have been fortunate to draw good crowds. Each evening in 2016 sold out fairly early each night. So at times the wait was longer than we had hoped, but because we assign group numbers, there is also a real close estimate as to how long the wait might be. There is food vendors outside and actually the "show" starts while the guests are waiting outside. We use the wait time to start telling the story. On a scale from 1 to 10, how scary would you say Face the Fear is? Why? 9-10. Like we said earlier, we are not the typical gore-fest...we try to get into that gut-level-what-r-u-afraid-of space that all of us have. So each year, the theme connects in different ways to different folks. But that is a part of what makes the attraction unique. Does Face the Fear's property have any real haunted history? Do you have a spooky encounter you'd like to share? Last year we were in the most haunted location in Seminole County, this year we are across the street in the historic district of Longwood, Florida. There is a haunted history that most of the locals know about in the area. Our favorite part of this is connecting with the crowds that come and then the feedback we get later, after the event is over. Usually as folks watch the DVD, they will reach out and connect with us by sending us an email, giving us a call, or saying Hey on Facebook. How has new technology (i.e. animatronics, special props, etc) helped you to enhance Face the Fear? 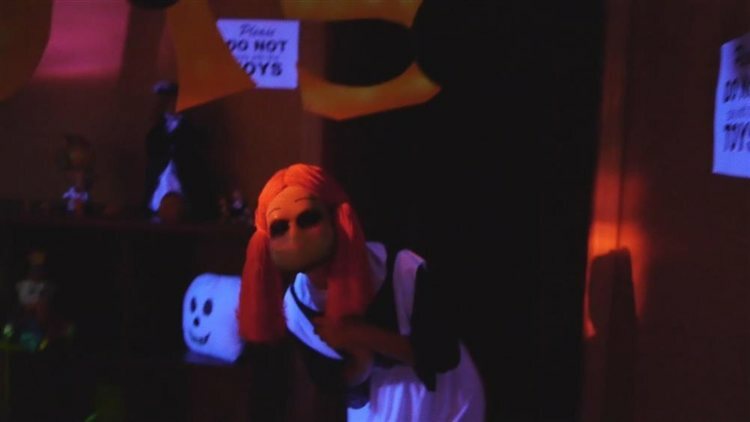 It makes it fun and interesting - but it still seems that nothing is better than a good "old-fashioned boo and scoo" moment, where guests have to go face to face with whatever they are most afraid of. Can Face the Fear accommodate large groups? How many people can experience Face the Fear together as a group? Groups of 6 - we make no apologies for this. It is a part of the experience, it is part of the design. it impacts how many people we can put through - but we won't sacrifice the experience for more paying customers. Does Face the Fear offer any special deals, discounts, or coupons? Anything else you'd like to let us know about Face the Fear? This is old school, big fun, and you will have a blast. So join us this year at the International Clown University (ICU) at Face the Fear in Longwood.